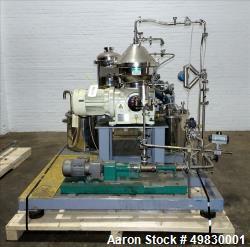 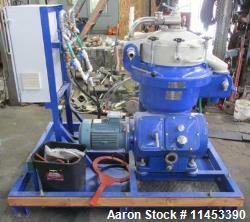 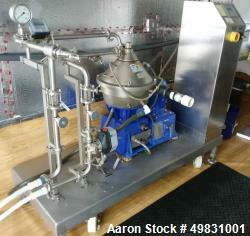 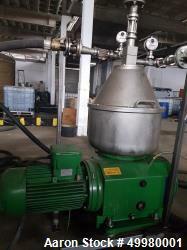 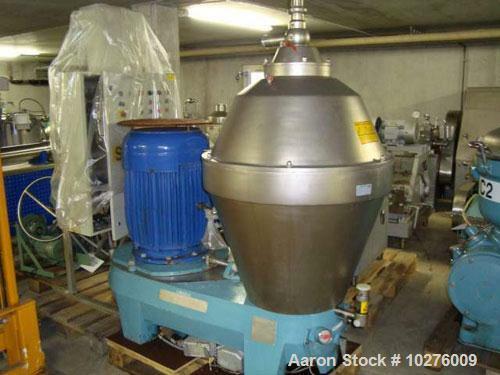 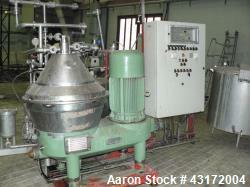 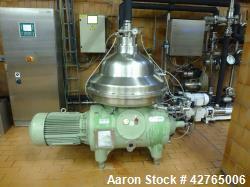 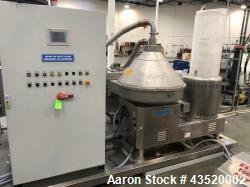 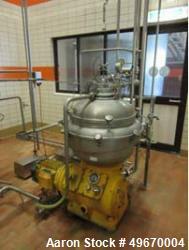 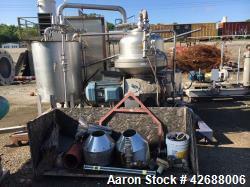 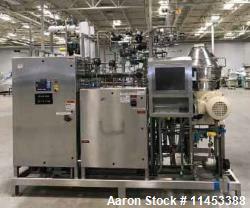 Used-Alfa Laval AX-215S-31B-50 Desludger Disc Centrifuge. 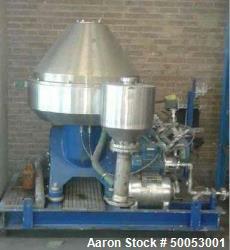 316 stainless steel construction (product contact areas), clarifier design. 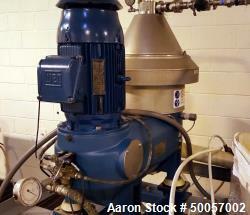 Max bowl speed 6840 rpm by a 45 hp/30 kW belt drive motor 380/3/50. 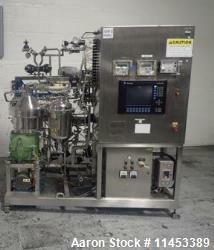 Complete with control panel.